The Durham Bulls struggled this week, finishing 2-3 on the week, dropping to 40-27 on the year. The Bulls continue to lead the division, maintaining a 9 1/2 game lead. The Bulls continue to hold the best record in International League. 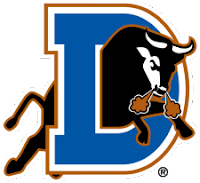 There are still a few days left to vote for your favorite Bulls player to the 2010 AAA All-Star Game, voting concludes on Friday June 25. Bulls manager Charlie Montoyo has been named the International League’s manager for the game to be held on July 14. Desmond Jennings: .279 AVG, .403 SLG, .356 OBP, 13 doubles, 3 triples., 18 RBI’s and 14 stolen bases. Transactions: Justin Ruggiano promoted to Tampa Bay (6/12/10). Elliot Johnson added to 7-day disabled list (6/13/10). Jason Cromer added to 7-day disabled list (6/13/10). Jason Bartlett added to roster on MLB rehab assignment (6/14/10). Joe Dillon activated from disabled list (6/14/10). Ryan Shealy released from organization (6/15/10). Omar Luna added to roster from Charlotte (6/15/10). Jason Bartlett completed rehab assignment and returned to Tampa Bay (6/16/10). Justin Ruggiano added to roster from Tampa Bay (6/16/10). Disabled List: Jason Cromer (elbow), Elliot Johnson (quad) and Virgil Vasquez. The Week Ahead: 6/19/10-6/20/10: at Louisville Bats (31-37). 6/21/10-6/24/10: at Indianapolis Indians (36-32). 6/25/10: vs Lehigh Valley Iron Pigs (26-41). Just to let you know someone reads and appreciates this — it's Jeremy, not Jason Hellickson. ERA leader. Glad you enjoys the recaps. Kinda sums up the whole week in one quick digest. Fixed the typo, missed it when I looked it over. Thanks for the catch. If there is anything you would like to see added, let me know and I will see what I can do. That way folks get two different looks.